It’s the hottest time of the year and everyone’s craving for some frozen treats! When I was a kid, we all lined up at the sari sari store for ice candy or icebuko or ice drop from the old lady who hawked it around our neighborhood. Then came mamang sorbetero who introduced me to “ice cream.” And since then ice cream—in cone, cup, pint—and all kinds of flavors became a staple of every summer. A few years ago, however, my love for ice cream would be challenge by something so similar—yet so different in a lot of ways. I discovered gelato. 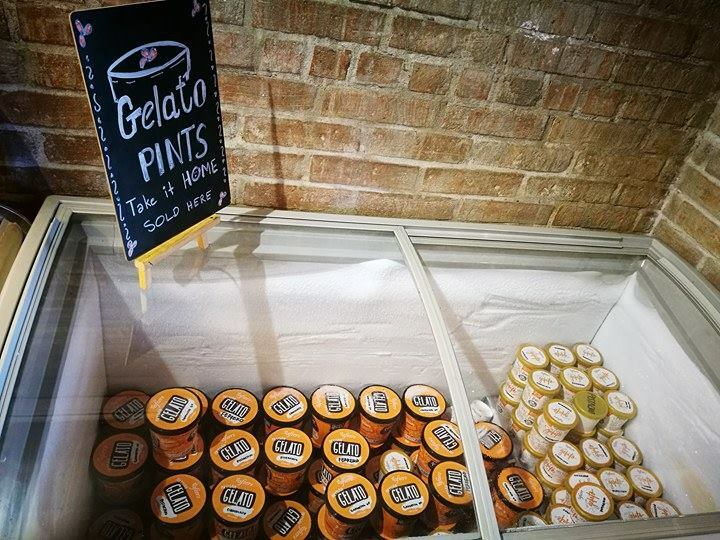 Now you’d probably say that gelato is just a fancier name for ice cream. But more than just the taste, and its creamier consistency, I have come to learn that there is just so much more about gelato. 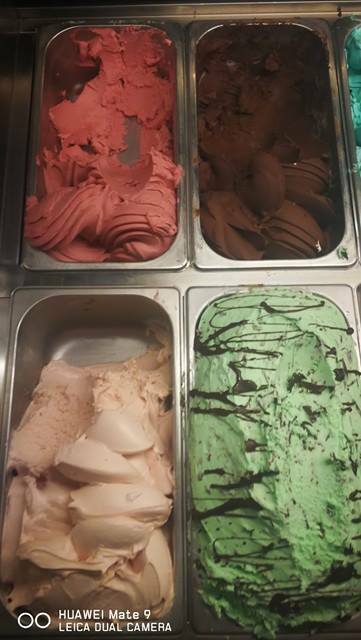 If Ice Cream is Fat and Fluffy, gelato is its sexier, more intense cousin. 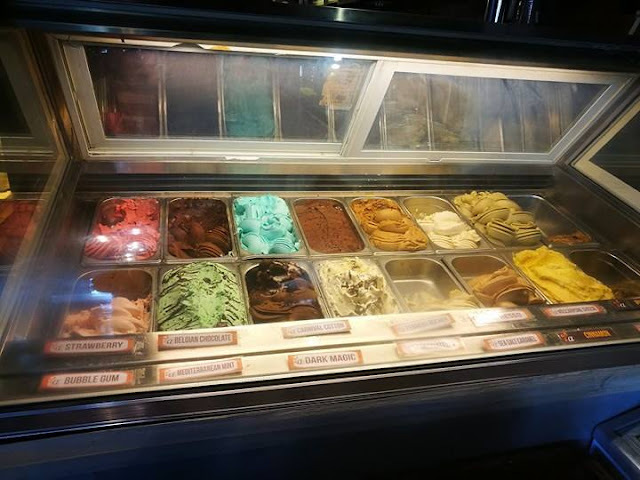 While ice cream is a frozen dairy dessert made of milk, cream, sugar, and egg; gelato has a higher proportion of milk and a lower proportion of cream and eggs (or no eggs at all). 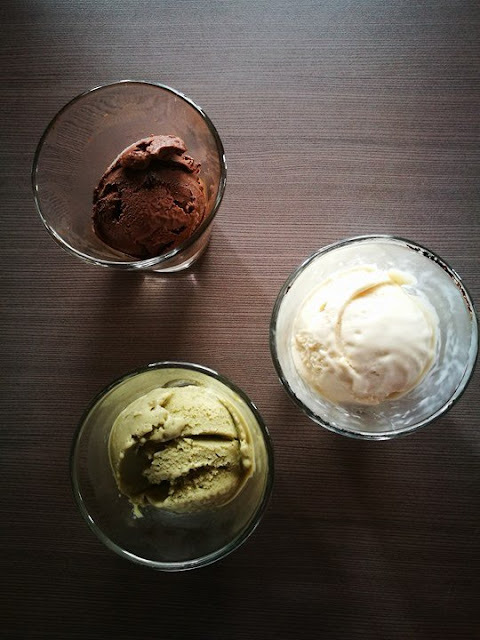 If ice cream is churned at a fairly high speed to incorporate air and increase its volume, gelato is churned at a much slower rate, incorporating less air making it denser than ice cream. 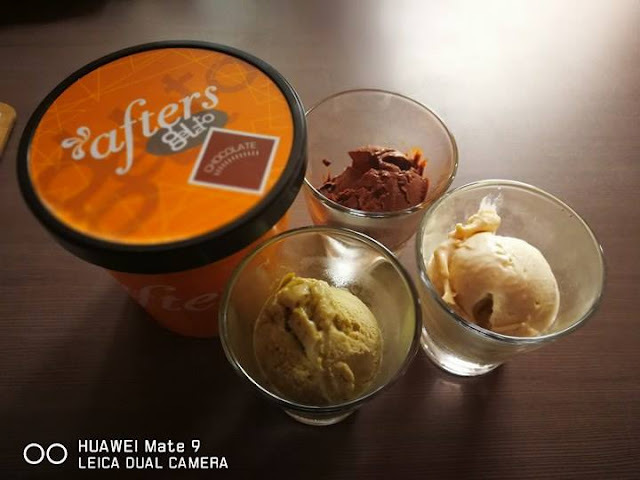 Compared to ice cream Gelato is served at a slightly warmer temperature, so its texture stays silkier and softer and because it has a lower percentage of fat than ice cream, the main flavor ingredient really shines through. And Taste is perhaps is the biggest difference as gelato has a more intense, satisfying flavor you can savor even in smaller servings. I had an invite last week for a Gelato food tasting and who would say no to gelato? So we headed to AFTERS, Morato. 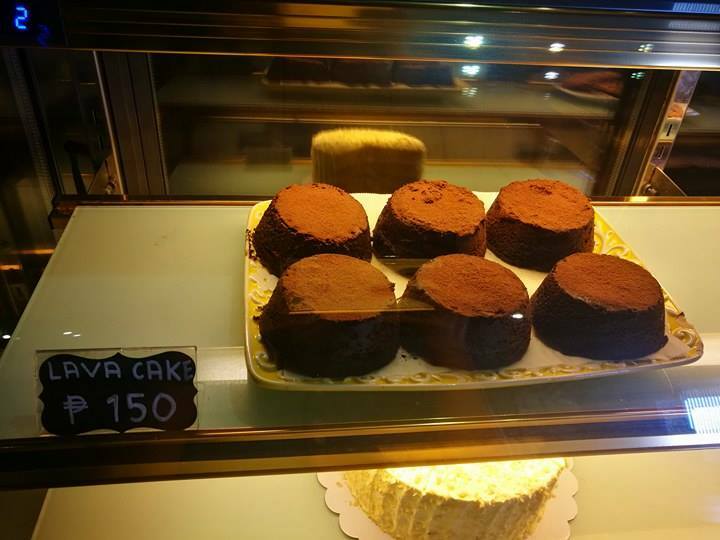 For foodies who frequent the Tomas Morato area, there is one must try café you have to check out if you are craving for desserts—AFTERS. 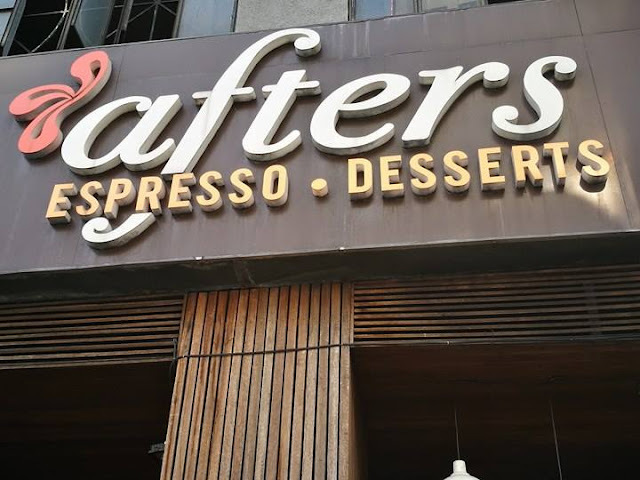 Its been almost five years since the quaint coffee shop was opened, and despite being next to a big international coffee chain, Afters has continued to thrive in an area where competition is nothing short of fierce. 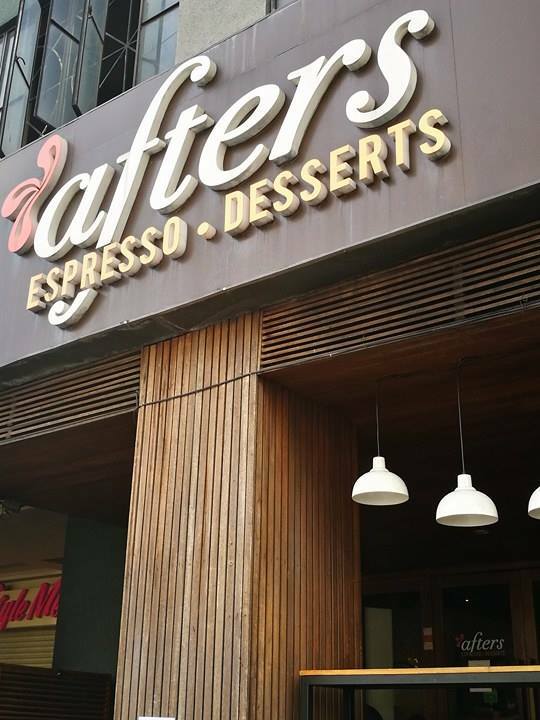 Afters—the European word for desserts is owned and managed by former IT Specialist Vince Fideliz. 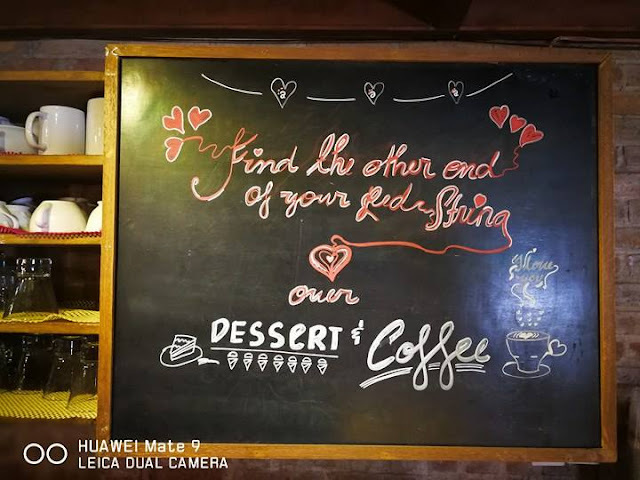 Fideliz admits it was his love for food particularly desserts that eventually pushed him to put up a resto that would be known for its desserts. “I love desserts more than anything else. 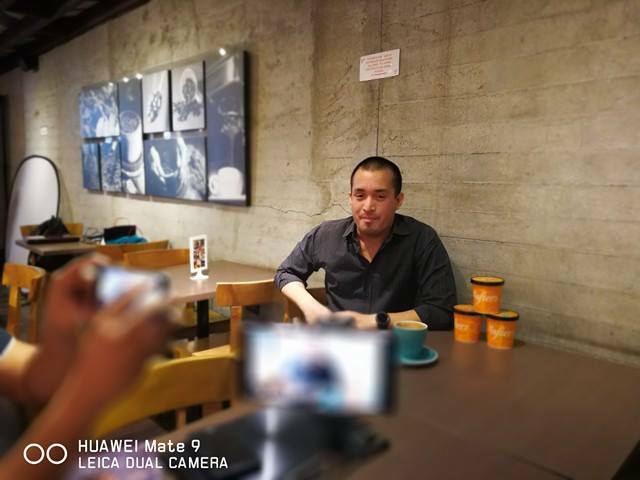 It is actually my criteria for a great buffet, there were even times when I’d skip the mains and go directly to the dessert station just to see what they have to offer,” says Fideliz. Fideliz had a high paying job in the IT industry, but his sweet tooth would drive him to try his hand in business. “My first business venture was a Zagu stall in SM Marikina. Back then pearls shakes were the rage so it became a very lucrative business. In two months I was able to get back my investment. That success boosted his confidence to try another venture that was booming—yoghurt. 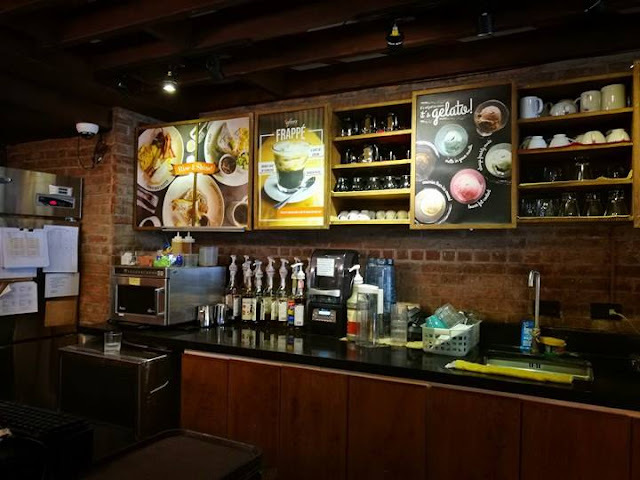 Fideliz was one of the pioneer merchants of the famous Mercato Centrale. He had a stall he called YohGee which he operated on the weekends, while he worked in the office during the weekdays. But as his business picked up, Fideliz said he realized he was earning more in the two days he spends operating Yohgee than the five days he works in the office. “I was earning a good amount of money, but on the other hand it was such a stressful job and required you to work very long hours, so I decided to resign and focus on my yogurt business,” he recalled. 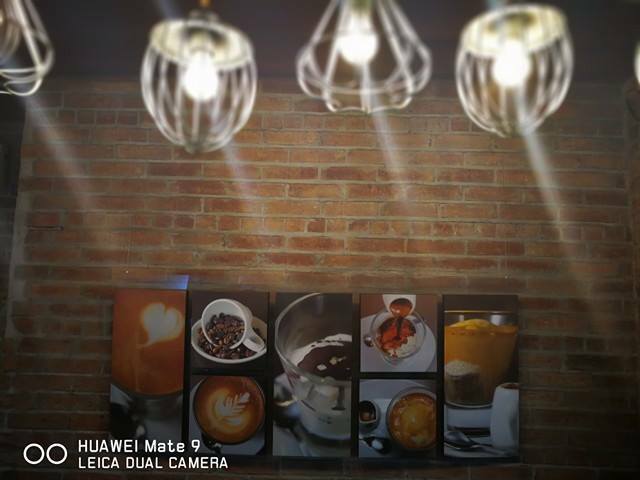 “My friend then told me about this place—and since I used to go here in Morato a lot, I decided to take it. Problem was it was a bit too big of a place just to sell gelato. 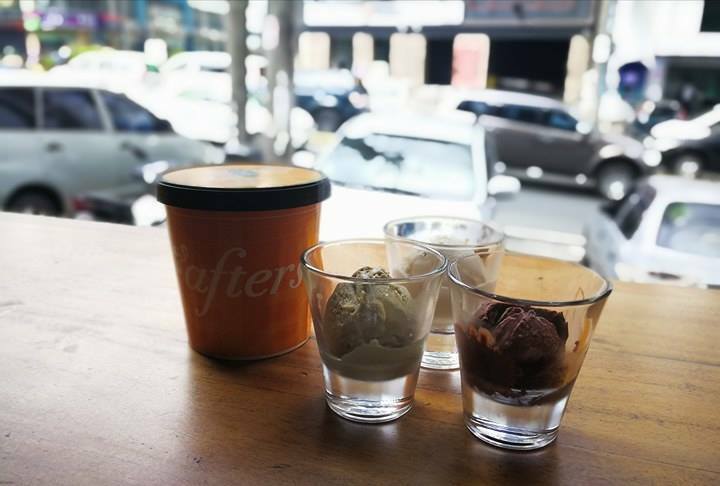 So I did a bit of research on what goes well with gelato and found out that a lot of people partner it with coffee and that was how Afters became a café and gelato shop." 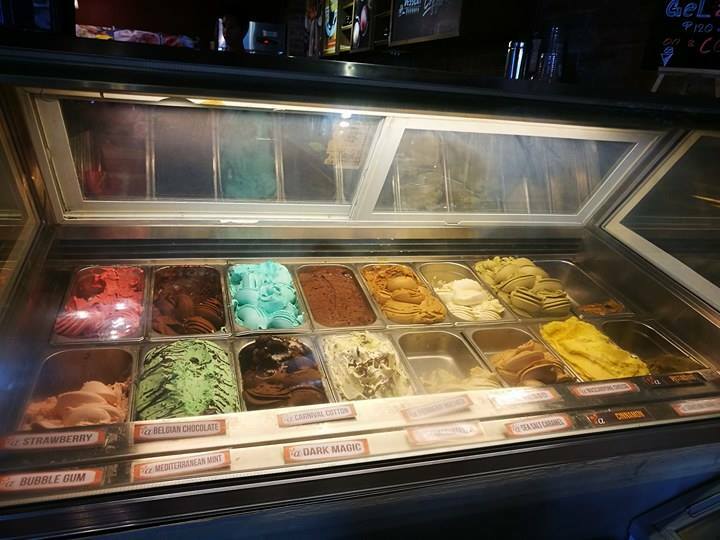 To make Afters gelato stand out Fideliz went abroad and took a short course in gelato-making to create artisan gelato that would stand out from all the rest of the gelato shops in the metro. 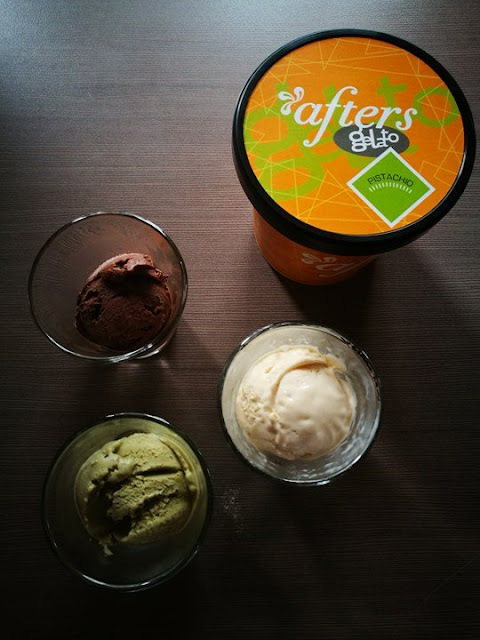 Afters Artisan Gelato prides itself for Fideliz’s hand-made gelato. Each flavor is made from scratch by Fideliz and his specially trained team of artisans, using the best ingredients, to attain that consistent quality you’ll find in each scoop. A rotation of flavors are made frequently in-store but some of Afters’ popular flavors include Spicy chocolate; Belgian Chocolate; Bubblegum; Cappuccino; Carnival Cotton; Cinnamon; Cinnamon; Coco Loco; Cookies n Cream; Dark Magic; Ferrero Rocher; Ferrero Rocher; Hazelnut; Hazelnut; Mascarpone Cheese; Mediterranean Mint; Snickers; Snickers; Stracciatella; Strawberry; Strawberry cheesecake; Tahitian Vanilla; Tahitian Vanilla; Affogato; Tiramisu; Calamansi Sorbet, and of course its bestsellers the Afters Chocolate, Pistaccio and Salted Caramel. 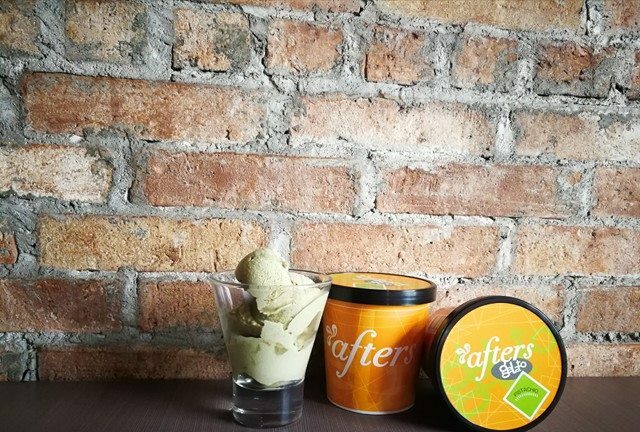 Because of the popularity of its bestsellers, Fideliz has finally decided to market the Afters Gelato to supermarkets so you don’t have to travel all the way to Timog to get a taste of what everyone is talking about. “Initially it will be available in pint sizes and we chose Afters Chocolate, Pistaccio and Salted Caramel as the first three flavors we will be marketing outside the café." The Afters chocolate is made from pure chocolate bars and is sweetened just right to balance the bitter and sweet dark chocolatey taste. The Salted Caramel is also made from scratch and the burnt taste of the caramelized brown sugar adds a bit of texture to the otherwise creamy and smooth dessert. 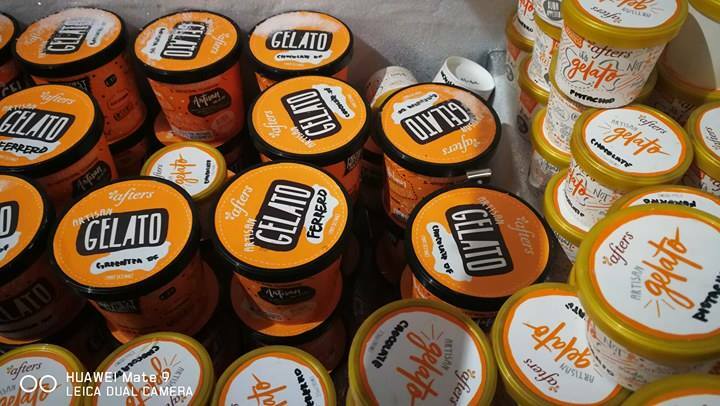 Finally unlike other Pistaccio flavored gelato which rely on the Pistaccio nuts to give it flavor, Afters version is made of pure pistaccio that is imported from Italy. “We don’t put the nuts anymore because you wouldn’t be able to taste it anymore because our base is already full of flavor,” Fideliz describes. 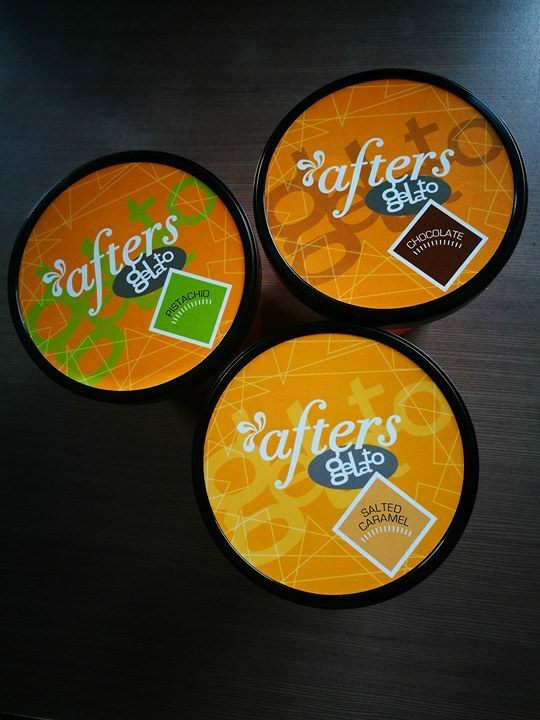 Afters Gelato will be available in soon initially in specialty supermarkets and groceries in Metro Manila.